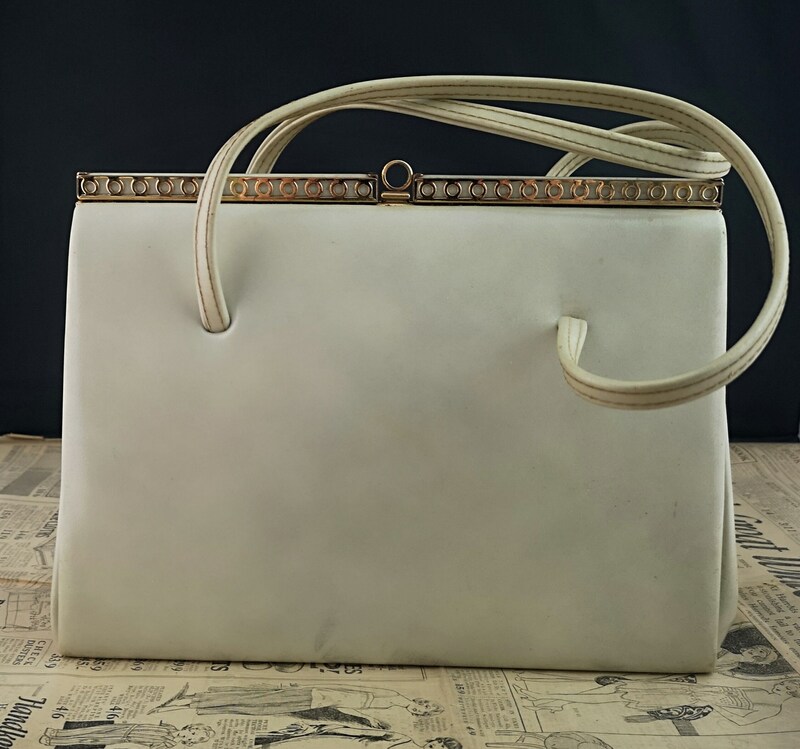 A stylish late 1950's A frame handbag. 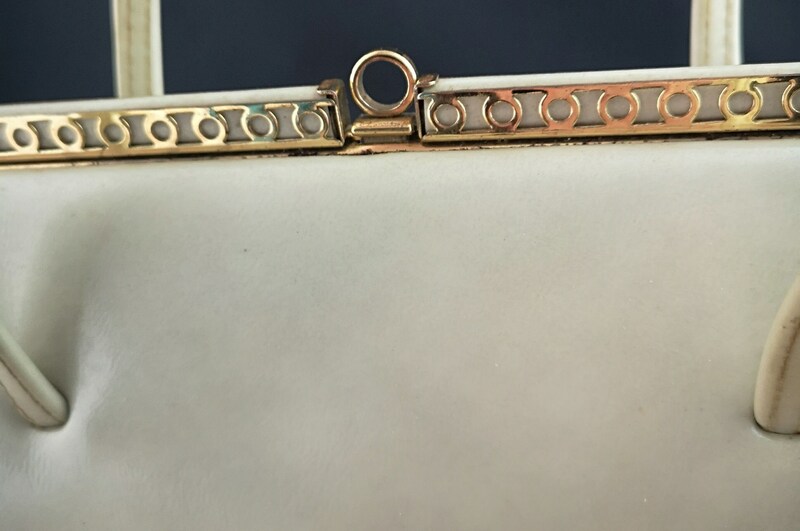 Classic shape with a fancy gold frame and push clasp. 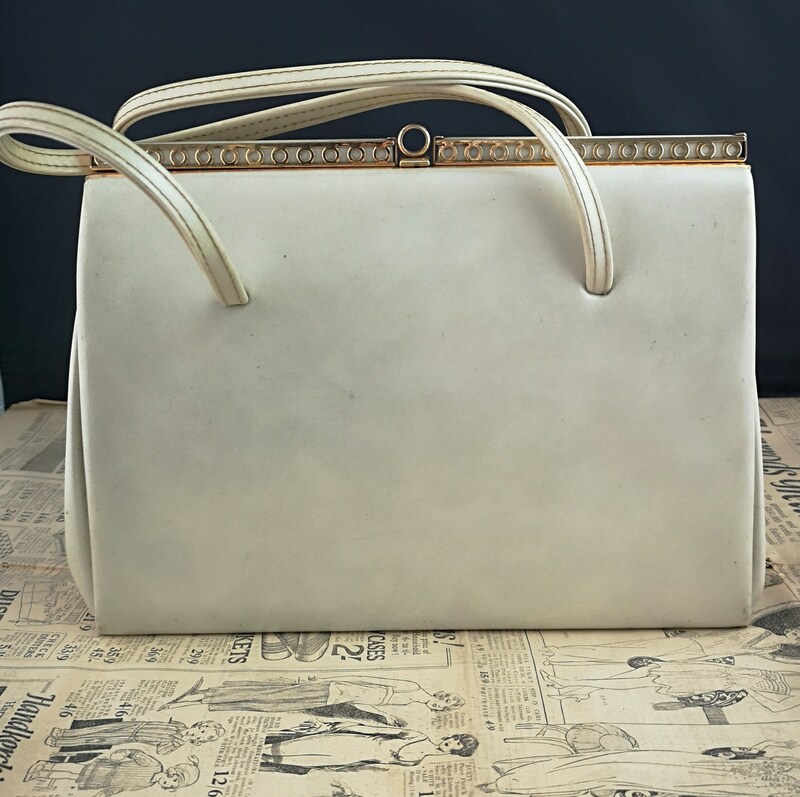 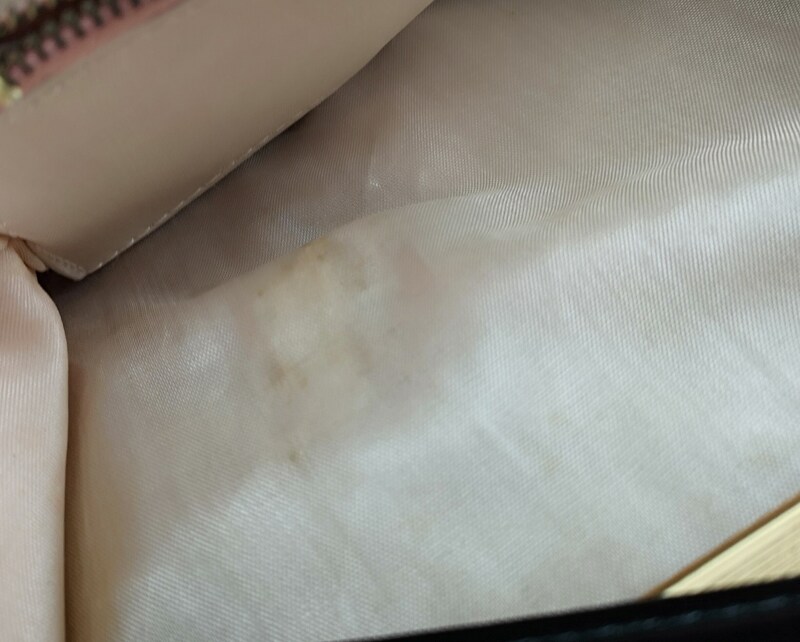 It is finished in a cream pu leather with an iridescent sheen to it. 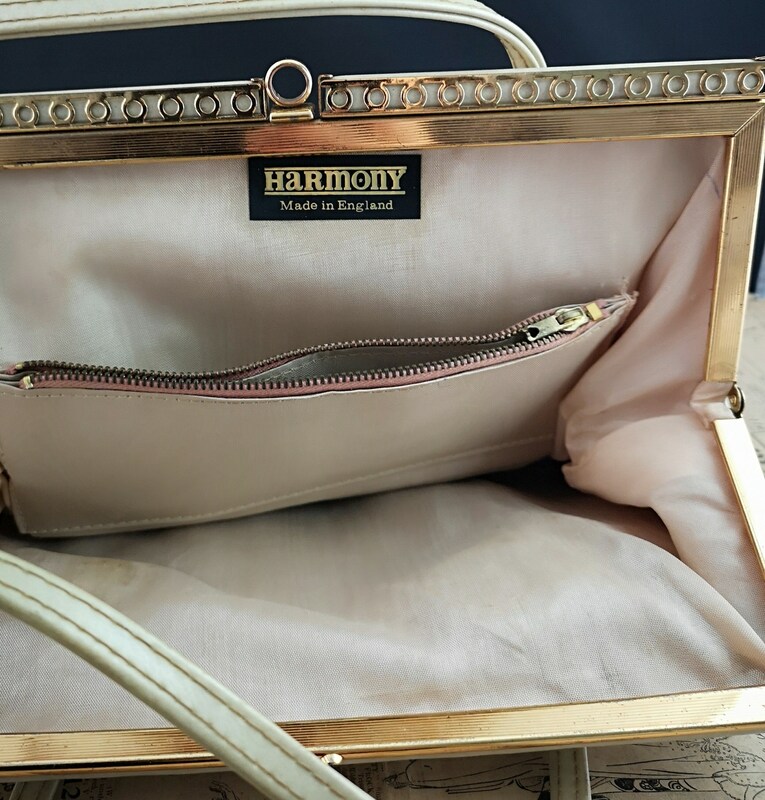 It has two top handles and is labelled inside for Harmony handbags. 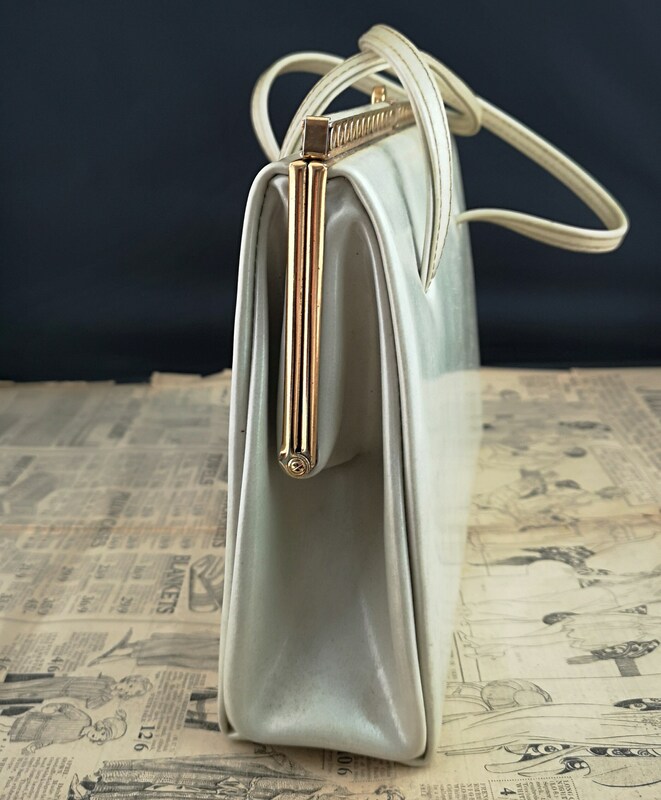 The inner is lined in a beige / peach moire fabric and it has multiple compartments including a zip one. 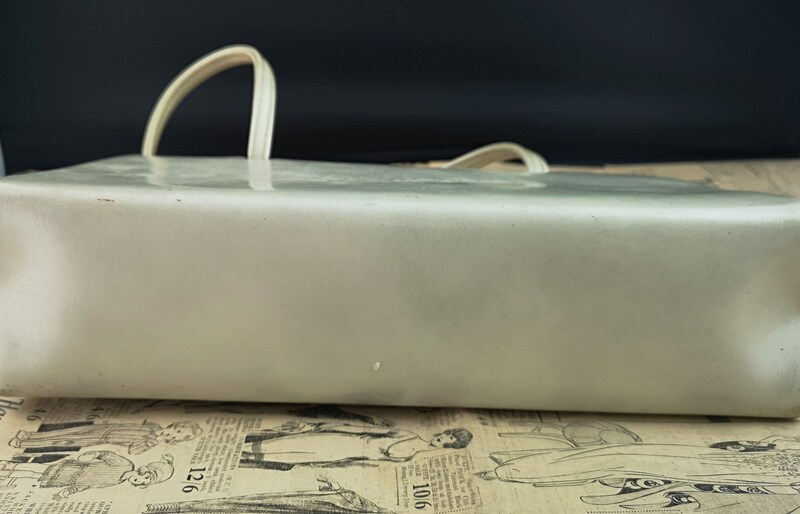 It has no rips or tears but it does have some marks on the outer, the handles don't stand straight and there are marks inside on the lining. 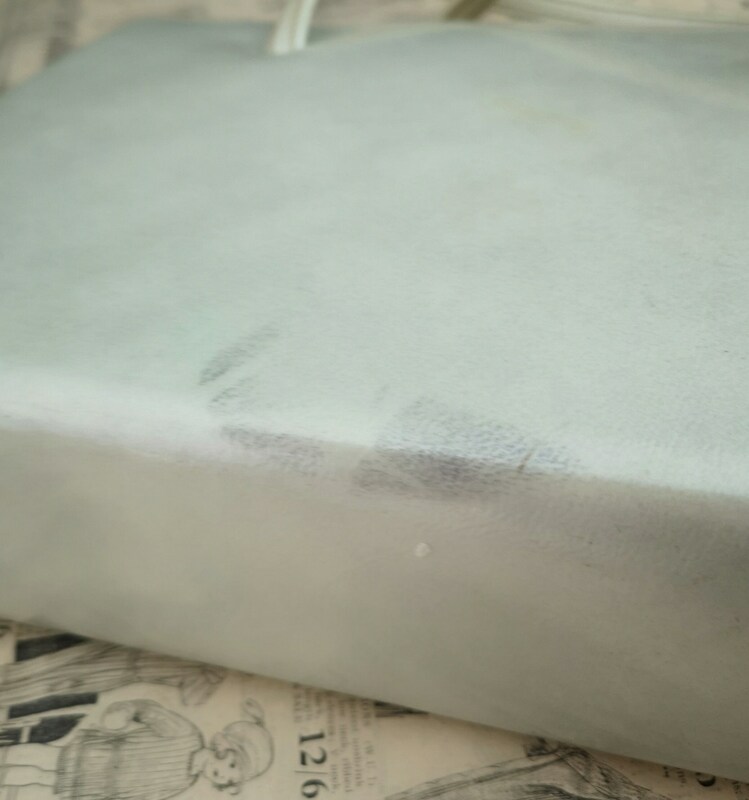 If postage and packaging costs less than the amount on the listing we refund the difference.